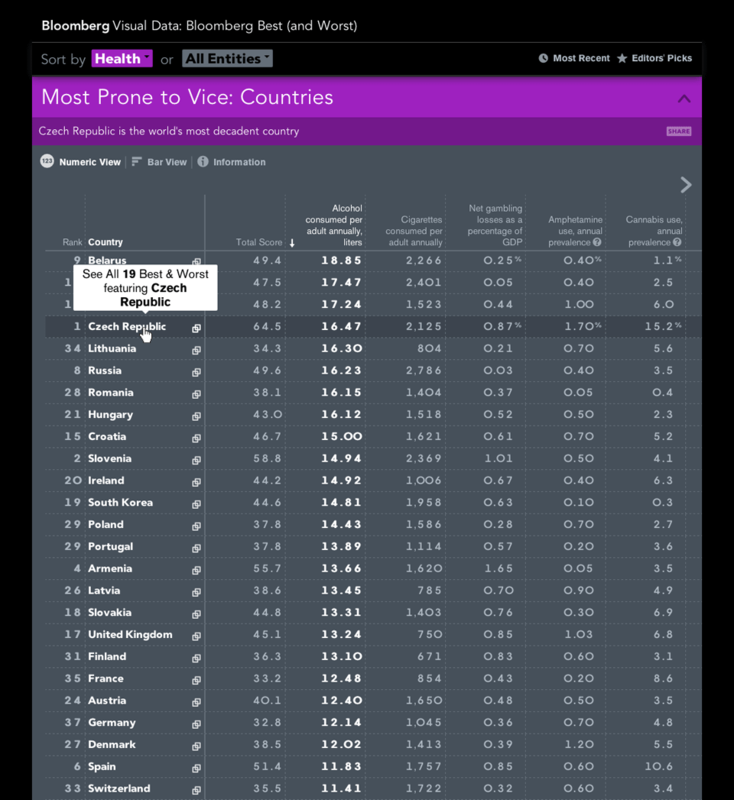 Interactive archive of rankings to enlighten and entertain readers on topical issues in business, economics, politics and more. 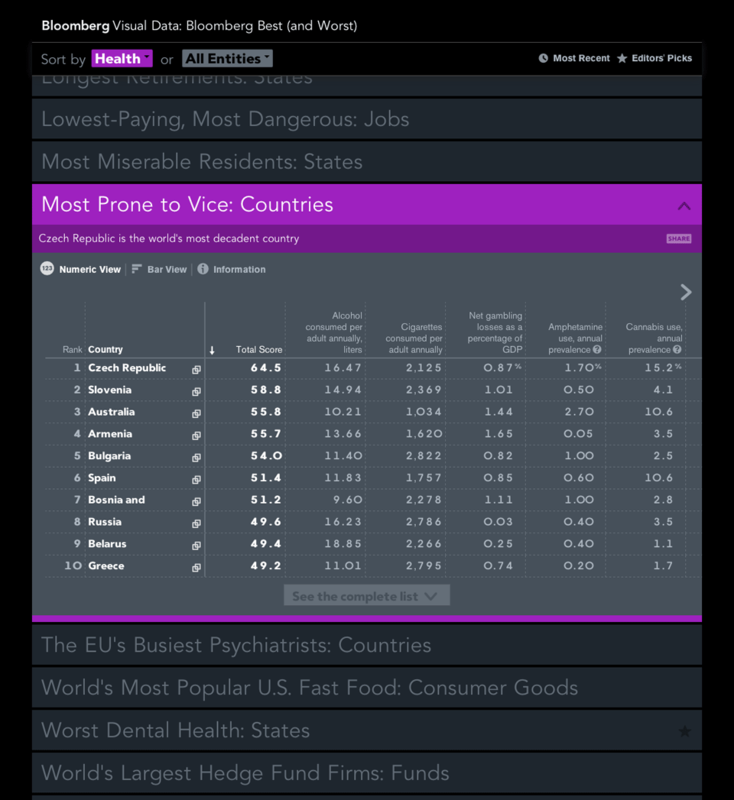 Best (and Worst) is an public archive of the research conducted by Bloomberg’s Rankings team. 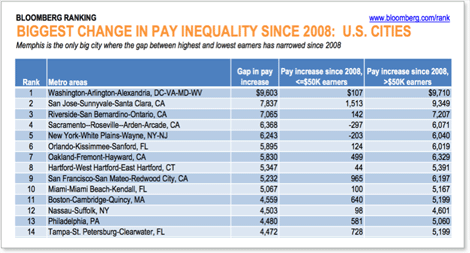 These lists are transparent and do not include editorially-adjusted or opinion-based data. 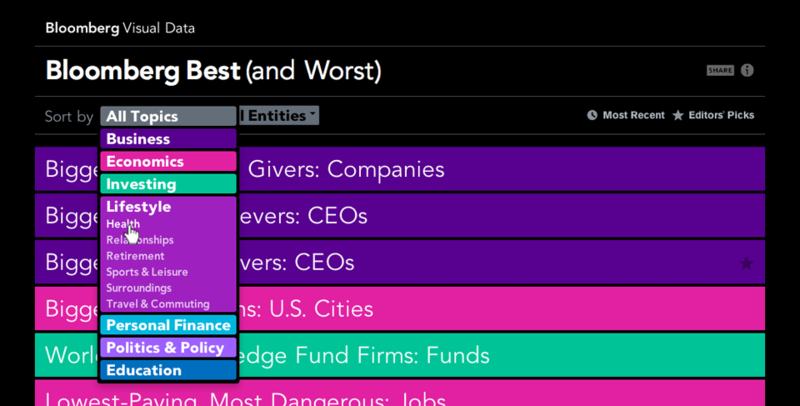 Each list is color-coded by topic (business, politics, etc.) 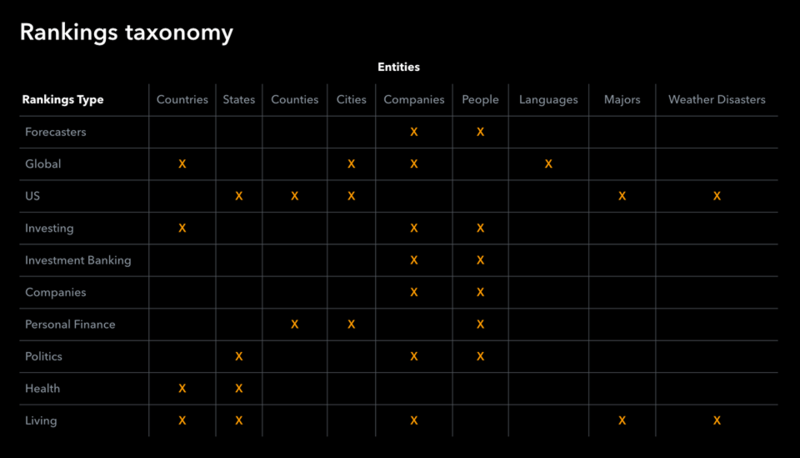 and can be sorted by topic/sub-topic or by entity (companies, people, places, etc.). Hovering over any title flips the tile to reveal the #1 entity for that list. Lists can be re-ordered by any column or expanded to include the full list. 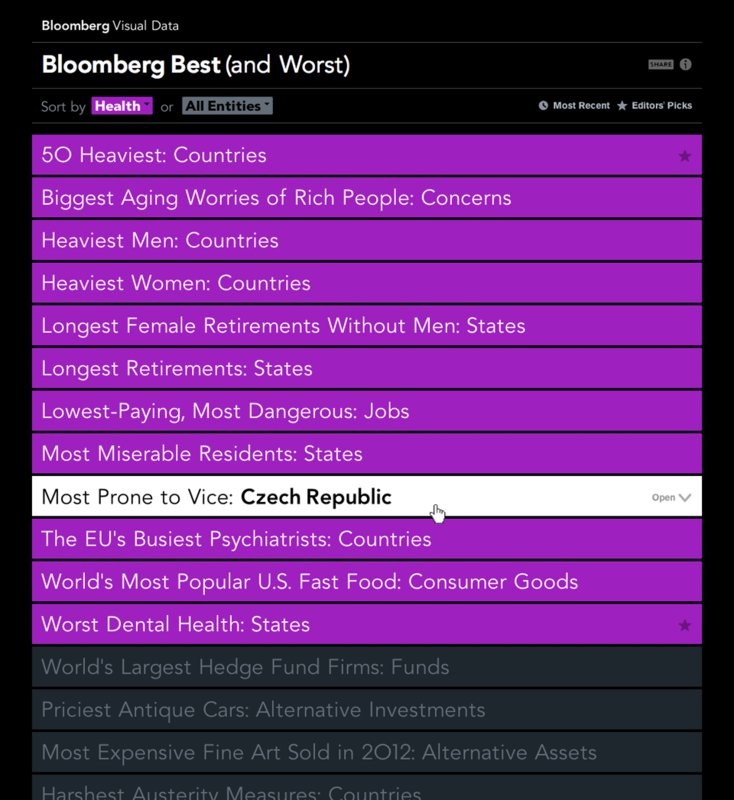 Icons indicate if any particular entity has other rankings associated with it. Clicking on that icon pivots to a list of all rankings that include that same person, place or thing. 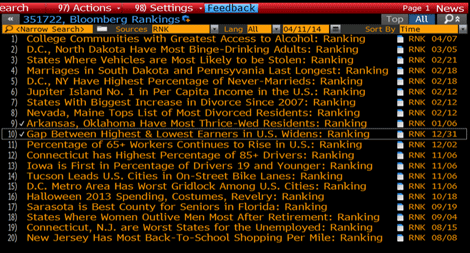 These rankings originally were viewable on the Bloomberg Terminal for subscribers only which produced static PDFs. A taxonomy was devised to organize topics, entities and to create a system of language for each of the titles.